This tote is bound to cheer you up on a dullest of days. • 500g of any chunky wool. I used recycled Debbie Bliss Como (90% wool & 10% cashmere; 50g / 42 meters or 46 yards) in lavender. 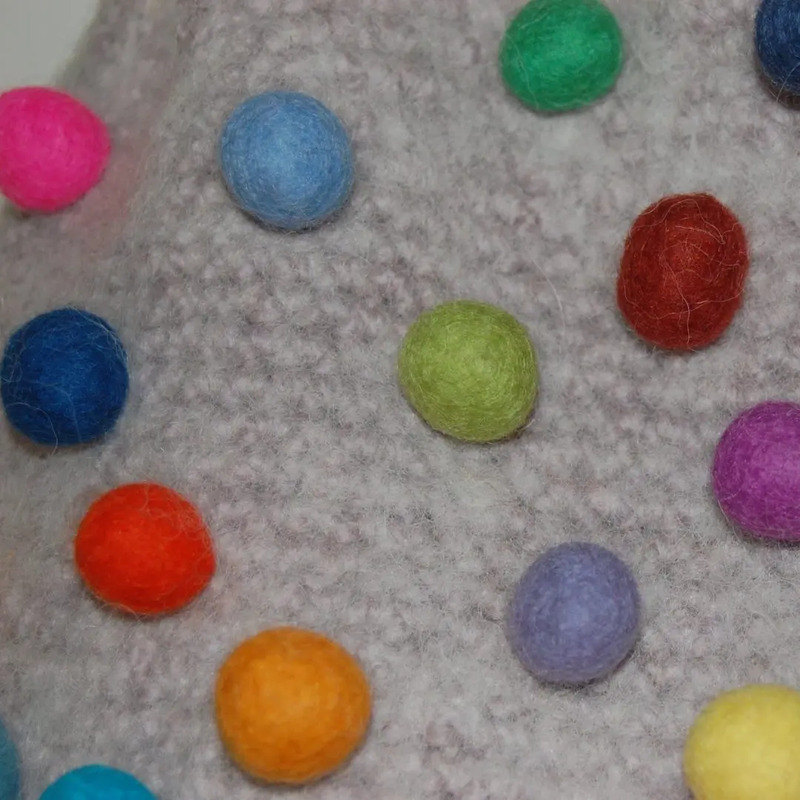 It’s best to use a soft non-twisted yarn, as it’s perfect for felting. 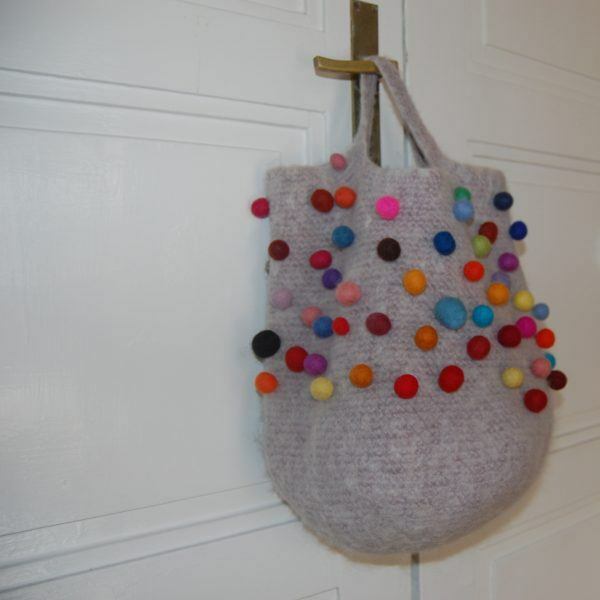 Recycled wool works very well for this kind of project, so it’s a brilliant way of giving “tired” yarn a new lease of life! 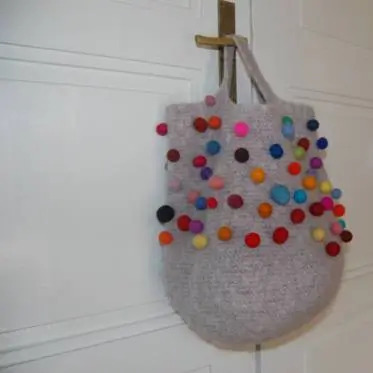 If you want to have more control over the final size of your project make a sample, put threads to demarcate 20 sts and rs and then wash as described in the felting section of this pattern. Take note of everything you’re doing so that you can re-produce exactly the same conditions later. 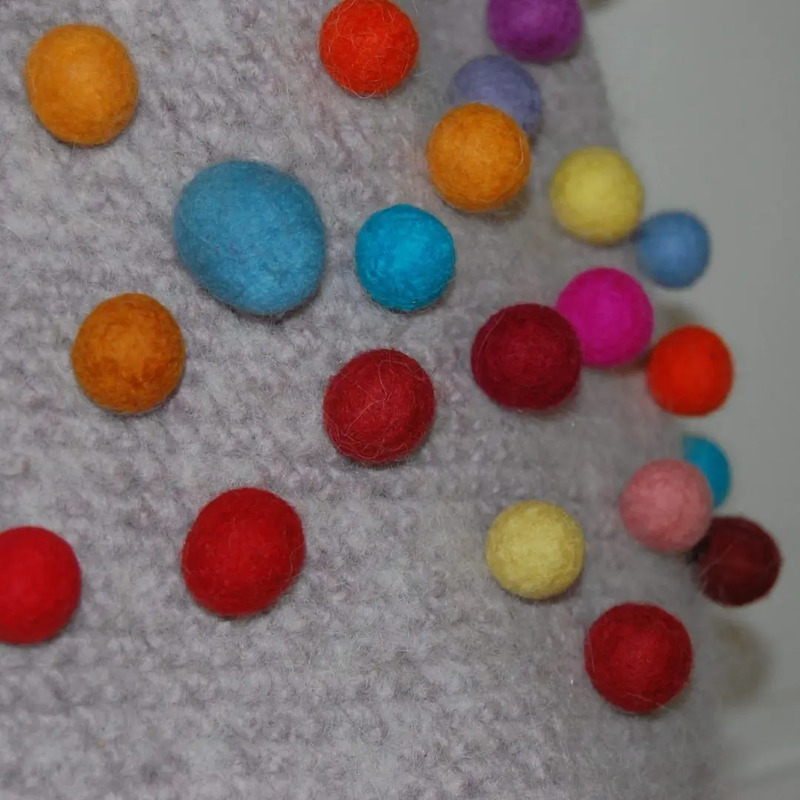 Then measure your sample and base your figures on the dimensions of felted sample.